I wear a multitude of hats in my life these days, so it's always a big win for me when I'm able to multi-task. 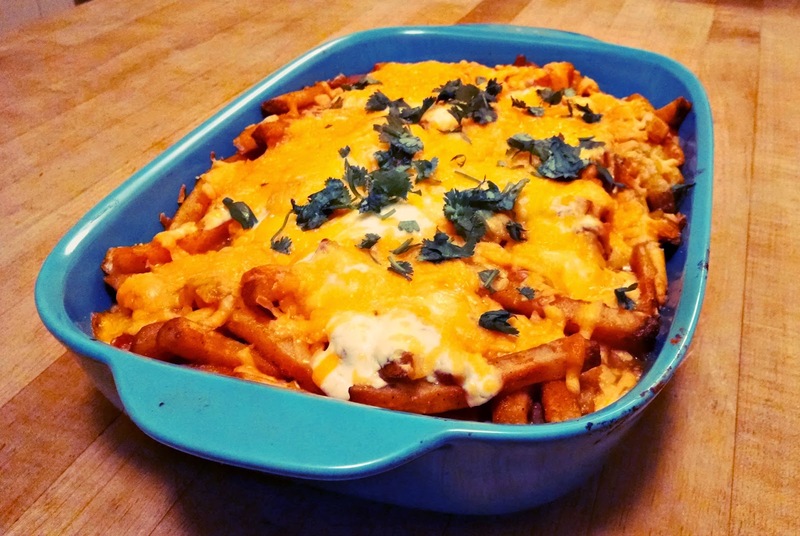 Last night's Nacho Fries was a great example. With that one simple dish, I managed to kill four birds with one stone (okay, that sounded really brutal, but you know what I mean). 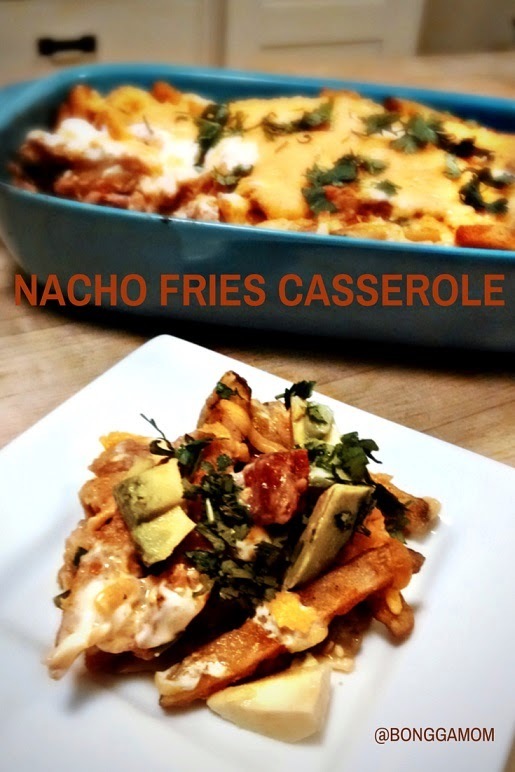 First and second, I was able to create content for two different campaigns -- CravOn Fries (one of the ingredients) and Corningware (the casserole I served it in). Third, I was able to write this blog post. And fourth, my family was able to enjoy a delicious dinner. Toss the fries in a bowl with the onion salt, garlic salt, and paprika. 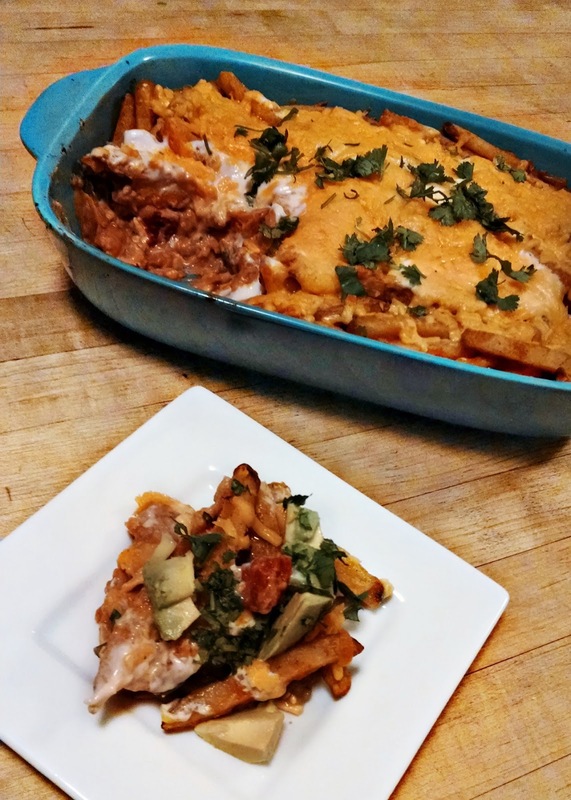 Spread the refried beans onto the bottom of a 3 or 4 quart casserole dish. Spread the diced tomatoes on top of the refried beans. Spread the fries on top of the cheese. Spread the sour cream on top of the fries. Pour the tomatillo sauce on top of the sour cream. Sprinkle the remaining cheese and some of the cilantro on top. Bake the casserole in the oven for 40 minutes. Top with diced avocadoes and cilantro, and serve immediately. Serves 6 as a main course, 12 as an appetizer. 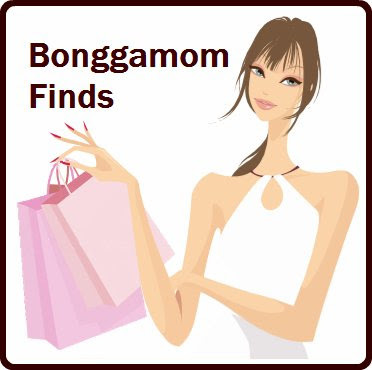 Click here to read my CravOn Fries post on Bonggamom Finds and learn about a great Pinterest contest they're running!